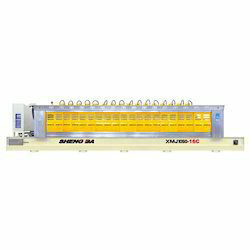 Our range of products include auto polish machine for granite and marble, auto polish machine for granite and auto polish machine for marble tile. We are the renowned organization committed towards offering optimum qualityAuto Polish Machine For Granite And Marble. 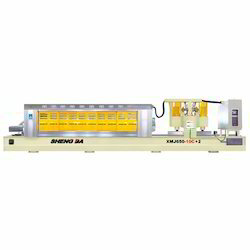 Used for polishing marble slabs, the offered polishing machine is known in the market for its enhanced service life. Our vendor's trained professionals assist us to design this polishing machine as per the set industrial standards. 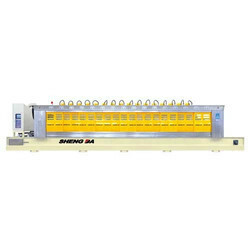 We provide this polishing machine in several technical specifications keeping in mind customer's requirements. Backed by our rich industrial experience in this domain we are able to offer premium quality auto Polish Machine For Granite. Provide effective shining to the marble, the offered line polisher is good demand in the market for its high performance. In order to assure the quality, the complete range of line polisher is checked on numerous parameters before the final delivery at the customer's end. The offered line polisher is provided with different specifications at affordable price. Belt Advancement Speed 0-2770 mm/min.